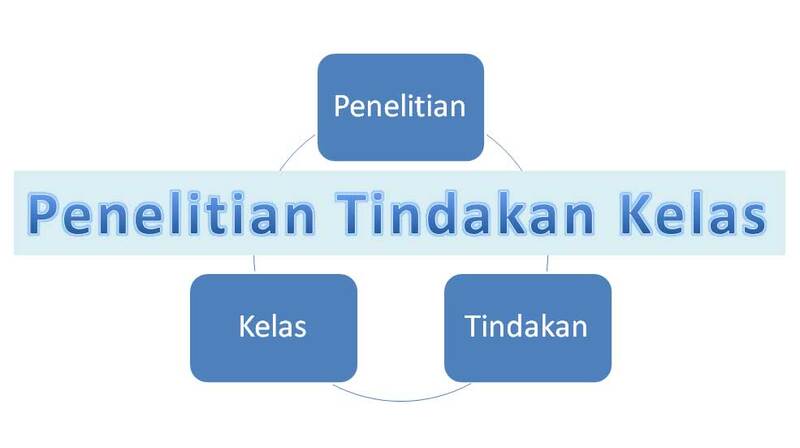 Kali ini kami menyajikan contoh penelitian tindakan kelas PTK bidang studi Bahasa Inggris untuk jenjang sekolah menengah pertama (SMP) dan sekolah menengah atas (SMA). Sumber PTK kami peroleh dari Universitas Negeri Semarang. Sumber bersifat terbuka untuk umum. Anda juga dapat langsung mengunduhnya di alamat lib.unnes.ac.id. Namun demikian, Anda harus melakukan proses seleksi satu per satu. Dengan membaca tulisan ini, Anda dapat langsung mengunduhnya. 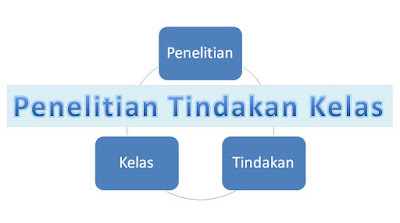 Berikut adalah contoh PTK Bahasa Inggris SMP dan SMA yang mungkin dapat Anda jadikan pedoman dalam menulis PTK. 1. THE EFFECTIVENESS OF DIRECT METHOD IN IMPROVING STUDENTS’ PROFICIENCY OF VOCABULARY Andhani Mayangsari SMA This final project is based on a study which attempted to examine the effectiveness of direct method in improving students’ proficiency of vocabulary. The main purpose of the study was to prove the effectiveness of direct method theory in improving students’ mastery of vocabulary. The population of this study was the first year students of SMA 6 Semarang in the academic 2008/2009. The members of the population were around 399 students. Out of the population, 79 students were selected as samples. They were the students of X-4 of SMA 6 Semarang as the experimental group and the students of X-2 of SMA 6 Download Di Sini! 3. A COMPARATIVE STUDY OF USING VERBAL REINFORCEMENT AND TOKEN REINFORCEMENT TO ENHANCE THE STUDENTS’ ENGLISH LEARNING ACVIEVEMENT Andika Farid Abdillah SMP This final project is based on a study which attempted to examine the comparison of the students’ English achievement who were taught by using verbal reinforcement and those who were taught by using token reinforcement. The main purpose of the study was to determine which group had better English achievement after they were given two types of different reinforcement; verbal and token. The research was conducted in the Pre-International Class in SMP Negeri 21 Semarang, Download Di Sini! 4. THE STUDENTS’ MASTERY OF WRITING PROCEDURE TEXTS (The Case Study of SMA SEMESTA SEMARANG Tenth Grade in the Academic Year of 2007/2008) Istikomah SMA Mastery in writing, Procedure Text The ability to write procedure text involves the ability in applying generic structure, lexicogrammatical features and language components of writing such as: fluency, grammar, content, vocabulary, and spelling. The main purpose of the study was to reveal the students’ mastery in writing procedure text which main problems are generic structure, lexicogramatical features, and language components of writing. A field research was carried out to achieve its purpose. The subject study was the students of tenth grade preparation class of SMA Semesta Semarang. Download Di Sini! 5. ITEM ANALYSIS OF ACHIEVEMENT TEST IN FINAL TEST FOR THE SEVENTH GRADE STUDENTS OF SMP N I MOGA PEMALANG in the academic year of 2008/ 2009 Ika Rini Nuryulia SMP Entering global era, we need adequate knowledge in facing global world which is full of competition. In this case, the role of English is very important either in direct communication or interaction. As a means of communication, English has to be mastered actively in oral and also in written. Through education process, it is expected that there is a change of students. One way to know students’ ability in using English we can use evaluation or test. In learning, test is a tool of evaluation which has important role to measure the teaching learning process in schools. While, the main purpose of this study is to analyze the English final test items which are administered to the seventh grade students of SMP N 1 Moga Pemalang. Download Di Sini! 6. THE TEACHERS’ TEACHING STYLE VARIATIONS IN THE ENGLISH CLASSROOM ACTIVITIES: A STUDY ON THE ENGLISH TEACHERS OF SMPN 2 AMBARAWA Irra Wahidiyati SMP This final project is based on a study which attempted to analyze the teachers’ teaching styles in the classroom activity. The main purpose of the study was to explain the teachers’ teaching style variations in the English classroom activities in SMPN 2 Ambarawa. I also studied the advantages of the teachers’ teaching style variations in the English classroom activities. Some steps were taken in collecting the data. First, I selected all three English teachers in SMPN 2 Ambarawa to observe their teaching styles. Download Di Sini! 7. THE USE OF STAD TECHNIQUE TO IMPROVE THE STUDENTS’ SKILL IN WRITING DESCRIPTIVE TEXT (An Action Research of the Eighth Year Students of SMP N 1 KESESI PEKALONGAN in the Academic Year of 2008/2009) Liya Novitarini SMP The topic of this study is the use of STAD technique to improve the students’ skill in writing descriptive text−an action research of the eighth year students of SMP N 1 Kesesi Pekalongan in the academic year 2008/2009 Download Di Sini! 8. USING AN ANIMATED FILM "KUNGFU PANDA 2" TO HELP LEARNERS IMPROVE THEIR ABILITY IN WRITING NARRATIVES (The Case of Grade XI Students of SMA N 11 Semarang in the Academic Year of 2008/2009) Lilik Setyabudi SMA The topic of this final project is about using an animated film to help learners improve their ability in writing narratives. The statement of the problem was to what extent the use of an animated film can improve students' ability in writing narratives. The objectives of this study was to find out to what extent an animated film increases the ability of students in writing a narrative text. The participants of the study were the grade XI students of SMA N 11 Semarang in the academic year of 2008/2009. Download Di Sini! 9. TEACHING DESCRIPTIVE TEXTS USING A PROCESS APPROACH TO IMPROVE THE STUDENTS’ WRITING ABILITY (The Case of the Year Eighth Students of SMP N 1 Rembang, Purbalingga in the Academic Year 2007/2008) Miftah Iskandar SMP The study is about teaching descriptive texts using a process approach to improve the students’ writing ability (the case study of the year eight students of SMP N 1 Rembang, Purbalingga in the academic year of 2007/2008). The objective of this research is to examine whether a process approach can improve the students’ writing ability. The population of the research was the year eight students of SMP N 1 Rembang, Purbalingga. The research method was an experimental research, with the experimental group (VIII C) and the control group (VIII D). Download Di Sini! 10 THE EFFECTIVENESS OF TOTAL PHYSICAL RESPONSE (TPR) METHOD IN TEACHING PHRASAL VERBS (The Case of Seven Year Students of SMP Ibu Kartini Semarang in the Academic Year of 2009/2010) Nikita Noviani SMP English students still find difficulties in understanding and using phrasal verbs. One of the reasons is that Indonesian language does not have phrasal verbs. Therefore, it is recommended for English teachers to apply an interactive method in teaching phrasal verbs so the students will enjoy the learning activities and consequently, they can accomplish the most favorable learning achievement. Furthermore, I would focus to apply this method in teaching phrasal verbs to year seven students of Junior High School. The purpose of the study is to find out the effectiveness of Total Physical Response (TPR) method in teaching phrasal verbs to year seven students of Junior High School. Download Di Sini! 11. The Use of Information Gap in Developing the Students’ Speaking Skill (The Case of Grade VII Students of SMP N 2 Tegowanu-Grobogan Academic Year of 2008/2009). Ratna Dwi Yuniarti SMP The topic of this study is the use of Information Gap in developing the students’ speaking skill – the case of grade VII students of SMP N 2 Tegowanu- Grobogan academic year of 2008/2009. In this study, I limited the discussion by stating these following problems: 1) to what extent is Information Gap effective to develop the students’ speaking skill of the grade VII Junior High School students? and 2) what are the advantages and disadvantages of using Information Gap in teaching speaking to the grade VII students of Junior High School? Afterwards, the objectives of the study were 1) to investigate Download Di Sini! 12. The Use of Alphabet Game as a Technique in Teaching English Words to Junior High School Students (The Case Study of the Year Seven SMPN 34 Semarang ) Riska Saprina Dewi SMP This study dealt with the use of alphabet game as a technique in teaching English words to junior high school students. The problem that is discussed in this study is whether teaching English words (vocabulary) by using alphabet game is effective or not for junior high school students. Therefore, the objective of the study is to find out whether teaching English words (vocabulary) by using alphabet game is effective or not for junior high school students. The population of this study is the year seven students of SMP N 34 Semarang in the academic year of 2009/2010. Download Di Sini! 13. The Use of an Animated Film Entitled “Garfield the Movie” to Improve the Students’ Ability in Writing Narrative Texts (An Experimental Study of the Year Eleven Students of SMA NU 01 Al-Hidayah Kendal in the Academic Year of 2008/2009) Sitti Ummi Hanik SMA Penelitian tindakan kelas ini termasuk jenis PTK eksperimental. Ia menguji penggunaan film animasi berjudul "Garfield The Movie" untuk meningkatkan kemampuan siswa SMA NU 01 Al-Hidayah Kendal dalam hal menulis teks naratif. Download Di Sini! 14. THE EFFECTIVENESS OF USING PICTURES IN WRITING DESCRIPTIVE TEXT TO THE EIGHT GRADE STUDENTS OF JUNIOR HIGH SCHOOL (A Case Study at the Eight Grade of SMP Negeri 26 Semarang in the Academic Year of 2008-2009) Sofia Winda Nur Fitriani SMP Penelitian tindakan kelas yang digolongkan sebagai PTK eksperimental. Menguji efektivitas penggunaan gambar dalam rangka meningkatkan kemampuan menulis teks deskriptif. Download Di Sini! 15. The Effectiveness of Pre, Whilst and Post Strategy and Small Group Discussion on Improving Students’ Reading “Descriptive Text” (An Experimental Research of the Tenth Year Students of SMA N I Bobotsari-Purbalingga in the Academic Year 2008/2009) Yulfah Masruroh SMA Penelitian Tindakan Kelas (PTK) eksperimental. Download Di Sini! 16. THE USE OF COOPERATIVE LEARNING “THINK-PAIR-SHARE” IN TEACHING READING DESCRIPTIVE TEXT (A Case Study of Year Seven Students of SMP N 1 Gabus, Purwodadi 2009/2010) Agnasari Wulan Mulia SMP Penelitian Tindakan Kelas (PTK) yang menguji penggunaan Pembelajaran Kooperatif "Think-Pair-Share" Studi Kasus di SMP N1 Gabus Purwodadi Download Di Sini! Kami akan terus melakukan update untuk tulisan tentang Penelitian Tindakan Kelas (PTK) Bahasa Inggris SMP dan SMA ini. Silahkan memberi tanggapan di kolom komentar.